In an intriguing twist of events, Macy’s purchased the Bluemercury brand for $210 million. The acquisition could give Macy’s a chance to makeover its own customer service. According to the announcement, Macy’s will sell Bluemercury products and add Bluemercury boutiques to its stores, while Bluemercury will continue to operate stand-alone locations. But whether or not Macy’s will embrace Bluemercury’s unique sales approach remains to be seen. Selling across brands is a new idea in luxury beauty retail. In the world of cosmetics retailing, selling across brands is a pretty revolutionary concept, but one that makes a world of sense for the customer. Sephora, the cosmetics retail chain owned by luxury leader LVMH, offers up a similar broad mix of brands, but as Marla explains, Sephora is a self-service concept and doesn’t embrace the high customer service levels you can find at Bluemercury. Because selling beauty products is so highly personal, the Bluemercury store design and layout also works to create a sense of intimacy between the shopper and the sales professional. The staff doesn’t stand behind the counters; they stand in front of them to assist shoppers as they browse. Expert, honest advice can create a strong, loyal customer base. Since the secret sauce of Bluemercury is the way they personalize their customer experience, the question is whether Macy’s, which traditionally takes a totally different approach, can translate that special recipe to their own cosmetic departments. It may be a disconnect for Macy’s, or it might just become a new model on which Macy’s can create an entirely new customer experience for shoppers looking for their own unique “hope in a jar." 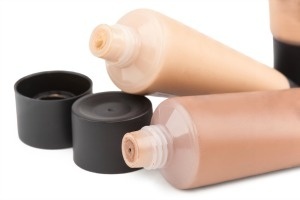 Interested to learn more about recent market shifts and key players in the cosmetics industry? Check out the Luxury Beauty, Cosmetics and Fragrance Snapshot Report from Unity Marketing. This concise, quick-to-read report explains what beauty products affluent consumers are buying, how much they are spending, and where they are making their purchases. For a broader view of the consumer market, click to the Personal Luxury Report USA by Unity Marketing. Pulling from seven years of market research data, this report covers trends on affluent consumer purchases and features eye-opening statistics and detailed case studies. To learn more about luxury consumer trends, download the free white paper Five Luxe Trends for 2015. This post was written by Pam Danziger, President of Unity Marketing. Pamela N. Danziger is an internationally recognized expert specializing in consumer insights for marketers targeting the affluent consumer. She is president of Unity Marketing, a marketing consulting firm she founded in 1992. Pam received the Global Luxury Award for top luxury industry achievers presented at the Global Luxury Forum in 2007 by Harper's Bazaar. Luxury Daily named Pam to its list of "Women to Watch in 2013." She is a member of Jim Blasingame: The Small Business Advocate’s Brain Trust and a contributing columnist to The Robin Report. Drawing upon their extensive industry experience, as well as professional expertise in marketing research and analysis, product and concept development, strategic planning and licensing, Unity Marketing offers marketing research that helps clients identify and maximize their potential success in the collectibles and giftware markets. Unity Marketing utilizes a full range of quantitative and qualitative research to address its clients' marketing challenges.